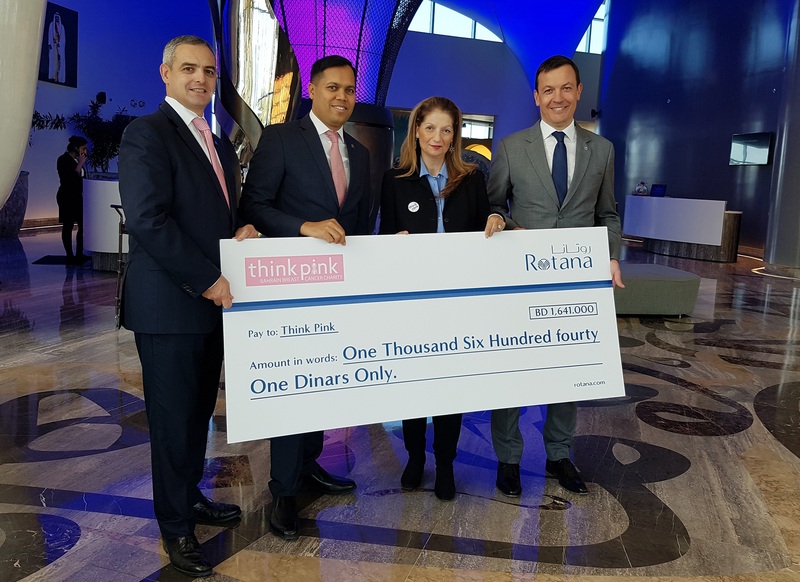 All 3 Rotana properties in Bahrain held a series of fundraising events over the month of October and November to raise funds to be donated to the charity ‘Think Pink’ in aid of breast cancer awareness. The total amount raised was BD1641 and among the events held was a 72 hour cyclothon in which hotel team members and guests kept cycling non-stop for 3 whole days covering over 2,700km. Charity brunches, pink yoga on the beach, charity walkathon and various other initiatives also raised contributed to the total donation.